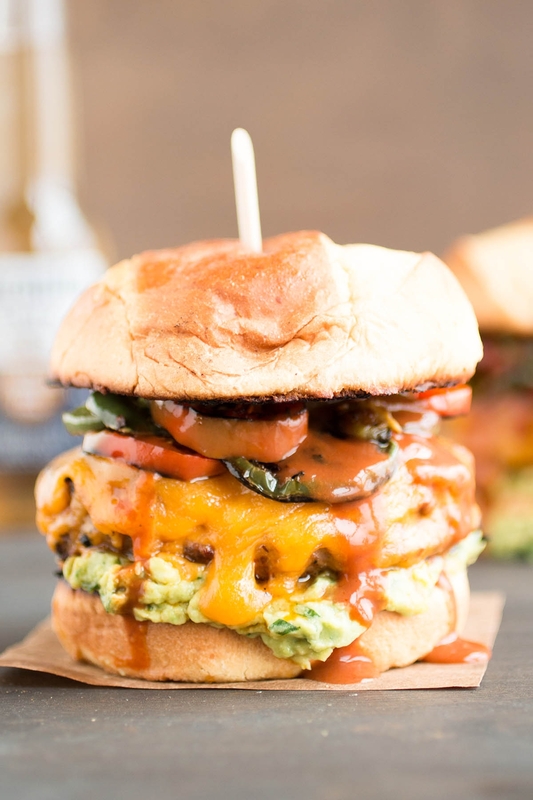 Here is a recipe for juicy ground pork burgers topped with melted cheddar cheese, lightly fried jalapeno peppers and a big helping of creamy, homemade guacamole. Yes, it is now time to drool. Sometimes, you just gotta have a burger. I don’t know if there is a food that is more uber American than a burger. What else might contend? Pizza? Ribs? Nah. I think the burger reigns supreme and truly represents. We were heading out to a beer tasting event and I didn’t want to spend a lot of time on dinner, but luckily I still had these handmade burgers vacuum packed and frozen, ready for quick cooking. To refresh your memory, we did a big round of meat grinding and made several batches of homemade burgers and sausages. This is our Batch #5 – Mexican-Style Pork Burgers, made with traditional Mexican ingredients. Here is the link to the post – Grinding Meat with a Meat Grinder – The Why and the How. It’s a flavor-packed combination of ingredients that lean more traditional Mexican. Pork shoulder is high in fat and you’ll certainly taste it. If you do NOT wish to grind your own meat, you have options. Find some ground pork packages in your grocer’s meat section and hand form your own with the ingredients above. Or, opt for pre-made pork burgers. If these options are not available to you, beef burgers will work just fine. 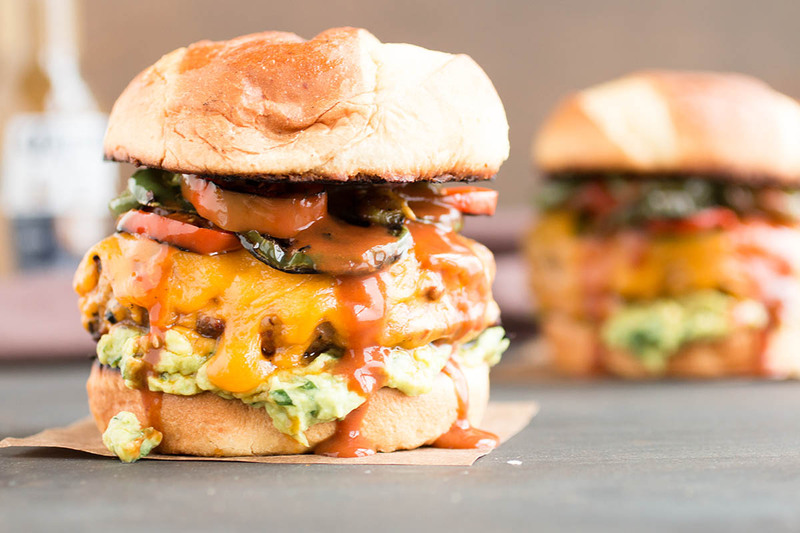 I would personally go with 80/20 ground beef and make my own using the same recipe above, but if speed is what you’re after, any pre-made burger patty will do the trick. Once the burgers are made, the rest is CAKE. 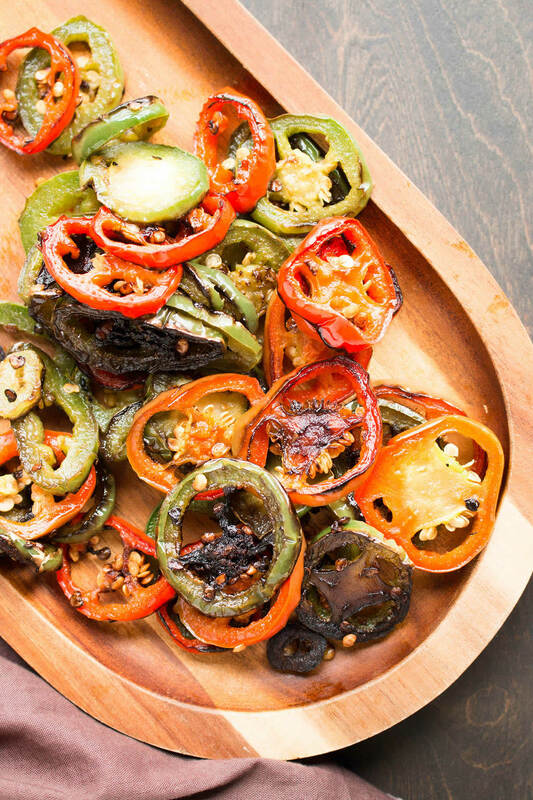 First, you’ll need to lightly fry up your jalapeno peppers. Slice them thin into rings and toss them in a pan with some oil until they are nicely charred. Like so. Don’t they look amazing? Delectable. Get in my belly! Next, sear up your burgers – you can use the same pan if you’d like – and while those are cooking, make your guacamole, which is always easy. Just mix up your ripe avocado with cilantro, salt and lime juice until it is perfectly creamy. Don’t forget to top your burgers with cheese! A little trick I like to use when melting cheese over burgers – add a splash of water, stock or white wine to thepan after placing your cheese on the burgers, then cover with a lid. The steam from the liquid will rise up and help melt the cheese evenly. Give it a try yourself. Lastly, do NOT forget the hot sauce. Hot sauce makes everything perfect! Enjoy! Patty’s Perspective: This burger is obnoxious. It’s so delicious that you will be willing to overstuff yourself just to finish it. When we made them, we were heading out afterward to a beer tasting event, and I knew we would be consuming a lot of beer, so having a bull belly was important. This SURE DID THE JOB. Loved it. 2 6-ounce pork burger patties – ground beef burgers are GREAT, too! Heat a large pan to medium heat and heat olive oil. Add jalapeno peppers and lightly fry them until they are nice and charred, about 5 minutes. Drain on paper towels. For guacamole, add avocado, lime juice, salt and cilantro to a mixing bowl. Mash and mix well. Adjust for salt and set aside. In the same large pan, add burger patties and cook 7-8 minutes per side, until cooked through. Top with cheese and cover. Cook until cheese is melted. 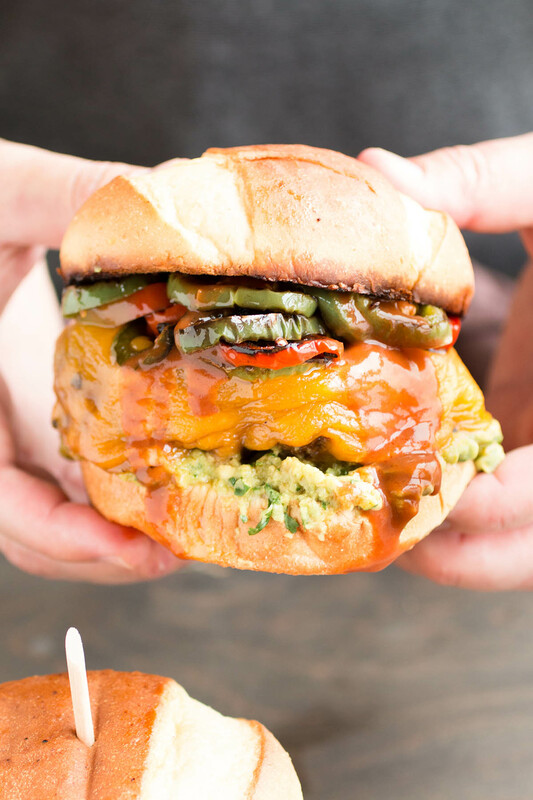 Serve onto toasted buns, then top with guacamole and fried jalapeno peppers. Drizzle hot sauce over the top and enjoy! This looks like a killer recipe! Can’t wait to try it out!